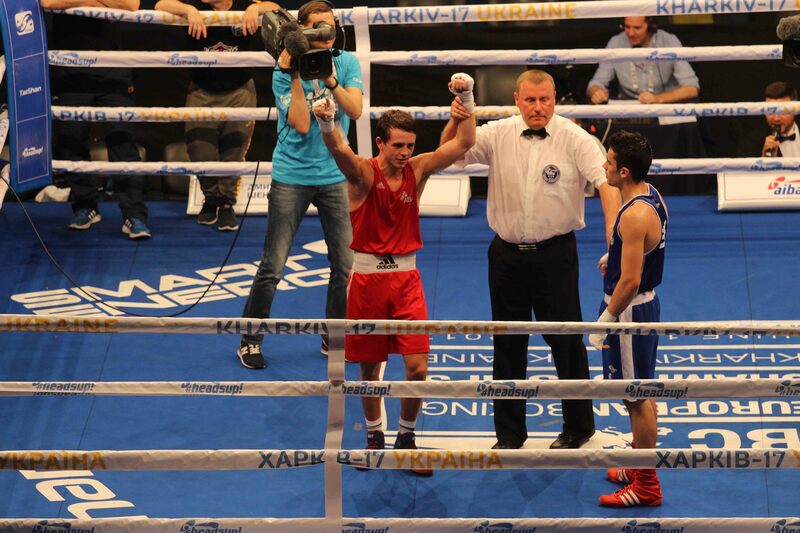 A HISTORIC day at the EUBC European Boxing Championships in Kharkiv in Ukraine saw boxers from the GB Boxing team win seven out of eight semi-finals and secure a place in tomorrow’s gold medal matches. It is the best performance ever by a GB Boxing team at a European Championships and surpasses the achievement of the boxers that competed at the 2015 event in Bulgaria, where the team contested five finals and won six medals in total. 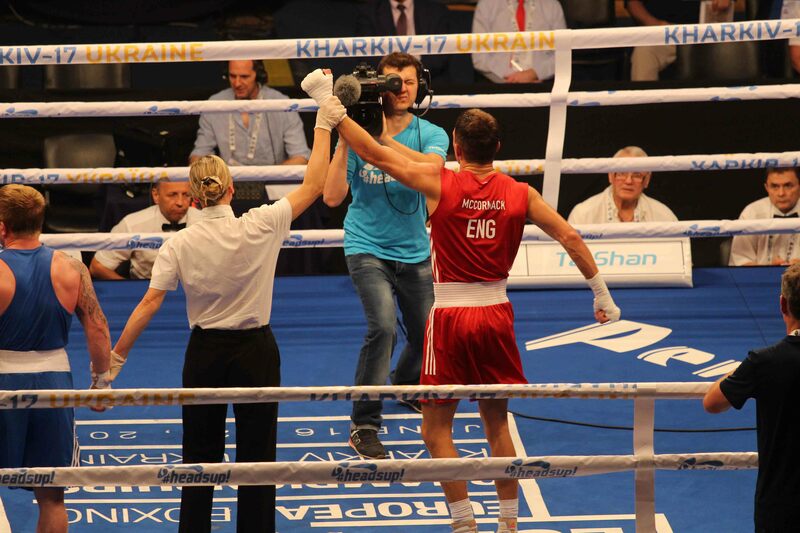 All seven of the boxers in tomorrow’s finals are from England and have the chance to emulate the achievement of Luke Campbell who won the bantamweight title in 2008 to become the first Englishman since 1961 to be crowned European Champion. Tomorrow’s finals will be shown live from 2.00pm on the BBC Sport website and connected TV (http://www.bbc.co.uk/sport/27047614) with commentary by Ronald McIntosh and Richie Woodhall. Light-flyweight, Galal Yafai, got the team off to a great start with a split-decision win over Carmona Heredia of Spain. He was quickly joined in tomorrow’s finals by Liverpool’s Peter McGrail who dominated Spain’s Jose Quiles Brotons to secure a unanimous win at bantamweight. Luke McCormack completed a hat-trick of wins for Great Britain with a narrow victory over London 2012 Olympic bronze medallist, Evaldas Patrauskas of Lithuania, in the light-welterweight bout. 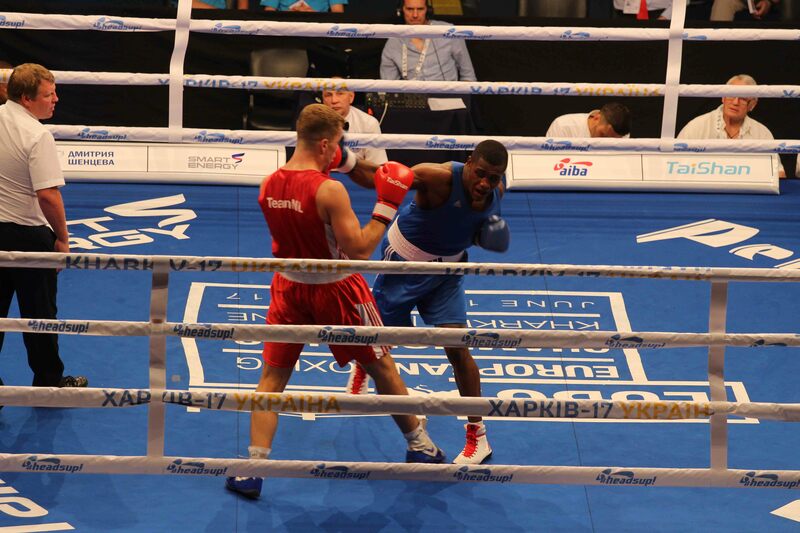 Rookie heavyweight, Cheavon Clarke, made it four wins out of four as he outpointed a far more experienced boxer in third seed, Roy Korving of Holland, to continue his amazing run and cap a glorious first session for GB Boxing. The man from Gravesham in Kent was only promoted to the GB Boxing squad in the spring of 2017 and has surpassed all expectations in his first major tournament, having also stopped the 2015 world championship bronze medallist, Abdulkadir Abdullayev of Azerbaijan, in his quarter-final. The early evening session saw boxers from Great Britain continue to dominate their opponents as Birmingham’s Niall Farrell kicked things off with a win over Ireland’s Brendan Irvine to reach the flyweight final. Pat McCormack showed all his class to beat the home nation’s Ievgenii Barabanov to join twin brother Luke in tomorrow’s final and earn the opportunity to improve on the silver medal he won in Bulgaria in 2015. Much to the relief of the home crowd, Great Britain’s only defeat on the day eventually came against a Ukrainian boxer as Calum French lost out to Yuri Shestak in the lightweight contest. The Birtley ABC boxer was disappointed not to join club mates Pat and Luke McCormack in tomorrow’s finals but can be very happy with winning a bronze medal in his first appearance at a major international tournament. It was left to Frazer Clarke to cap a historic and triumphant day for England and as he continued GB Boxing’s tradition of producing top-class super-heavyweights by earning a split decision win over Djamili-Dini Aboudou-Moindze of France to make the final in his first ever major international tournament. Results from tomorrow’s finals day will be posted on the news section of the GB Boxing website http://www.gbboxing.org.uk/news/ and on twitter at @gbboxing.